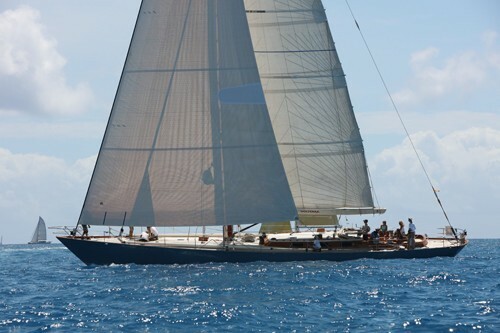 Sailing yacht Volterra is a 24,38m (80’) Palmer Johnson built yacht designed by John Munford. 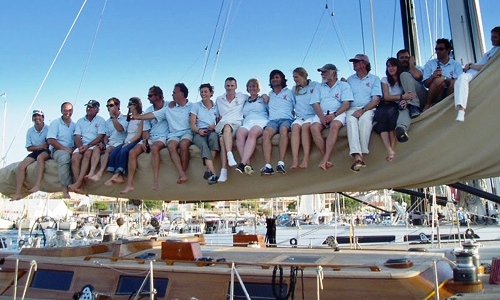 The yacht was built in 1990 and received a refit in 2006 and 2010. S/Y Volterra is a modern classic sailing yacht designed to circumnavigate the world safely in comfort and style and has also distinguished herself on the race course in the Mediterranean, the Caribbean and the Atlantic including coming first in the 1997 Transatlantic Challenge Race. 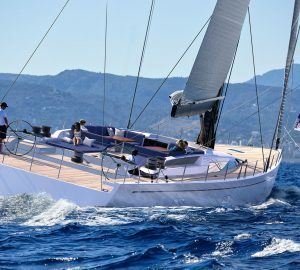 Sailing yacht Volterra fast, classically elegant lines was designed is thanks to a collaboration between German Frers and John Alden and built at Palmer-Johnson, an American yard famous for building strong, seaworthy luxury yachts. 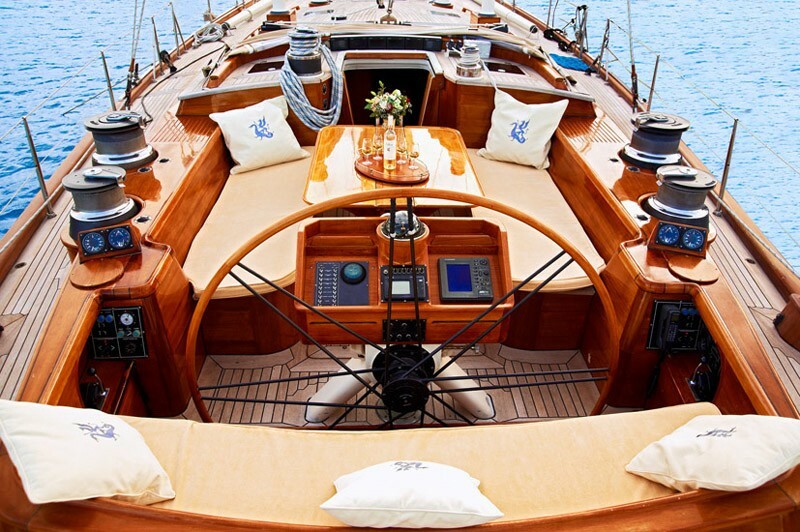 Sail boat Volterra offers a comfortable and airy interior designed by John Munford and featuring solid cherry wood. 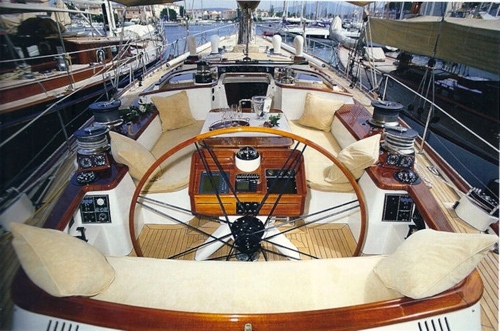 Her large cockpit offers enough elbow room to an active racing crew or a full service al fresco moonlit dinner. 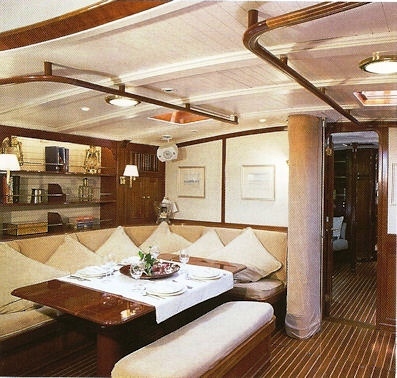 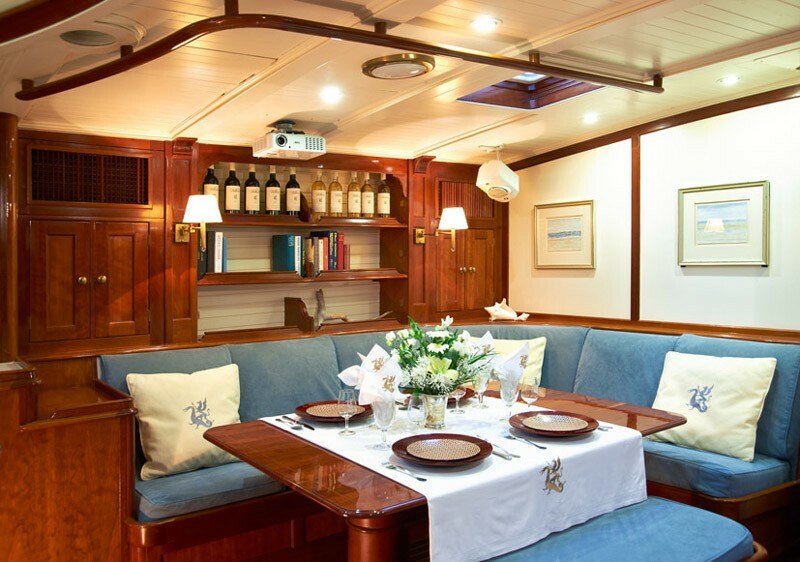 Sailing yacht Volterra is able to accommodate up to six guests overnight and 12 guests cruising. 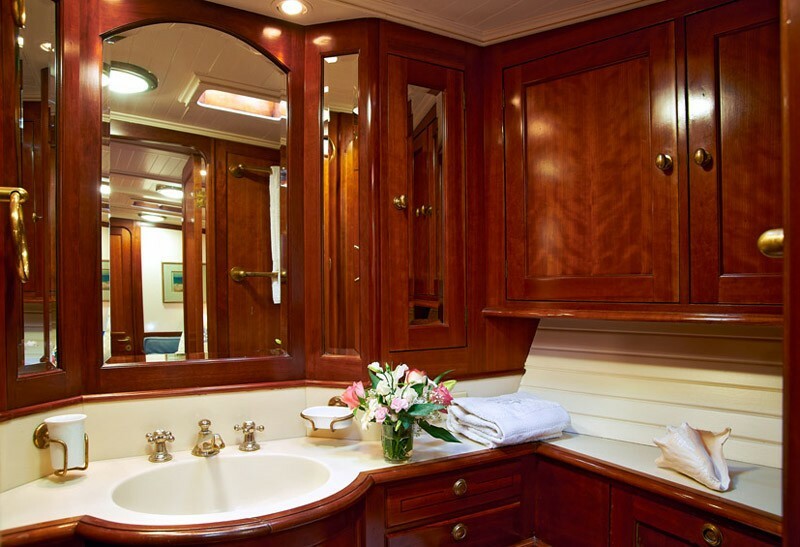 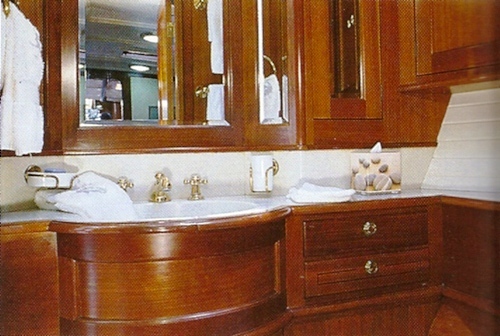 There are port and starboard guest cabins, each with two single beds and adjoining bathrooms with showers. 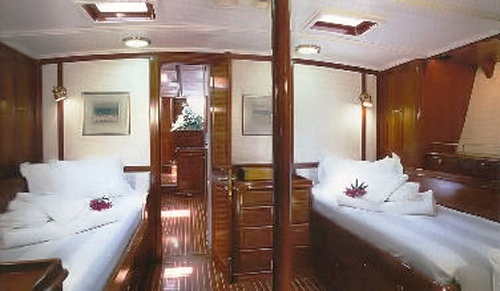 Two additional bunks are provided in the main salon, enclosed by a privacy curtain. 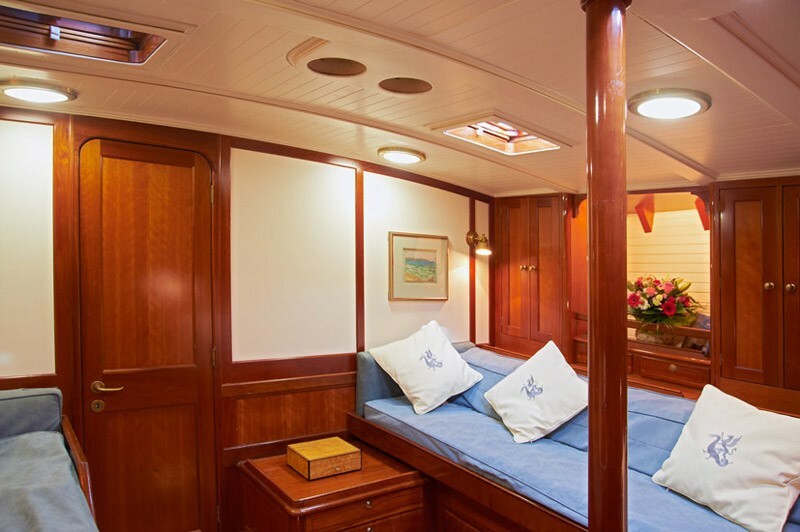 The owner’s cabin located midships offers two beds; one extends to a full queen sized bed if required. 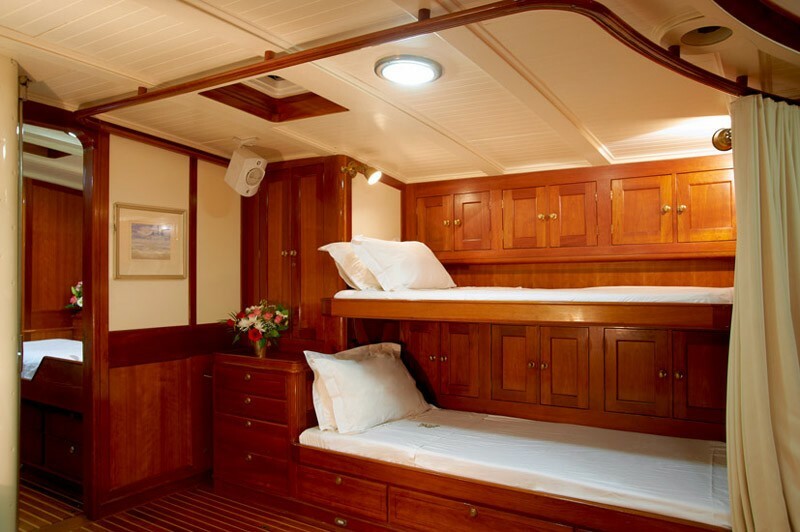 The owner's cabin also offers a comfortable settee with a fold down work desk and a well appointed bath room with shower stall. 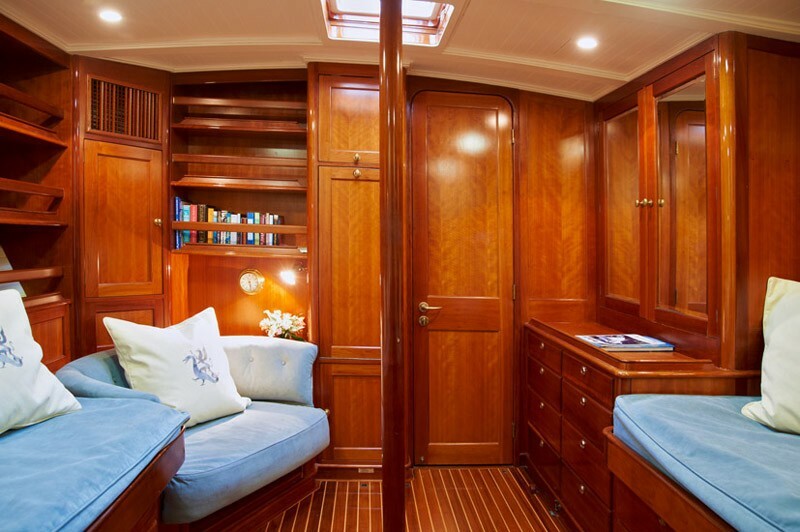 Sailing yacht Volterra received a refit in 2006-2007 which included a Hull paint, Teak deck, new flush deck hatches, varnish, hydraulics, electronics, electricity, rigging, head system. 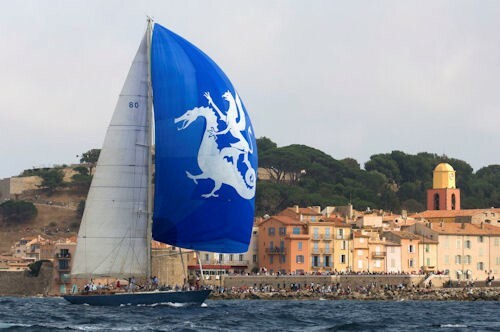 A New main, a new Genoa and a new Spinnaker were also purchased. 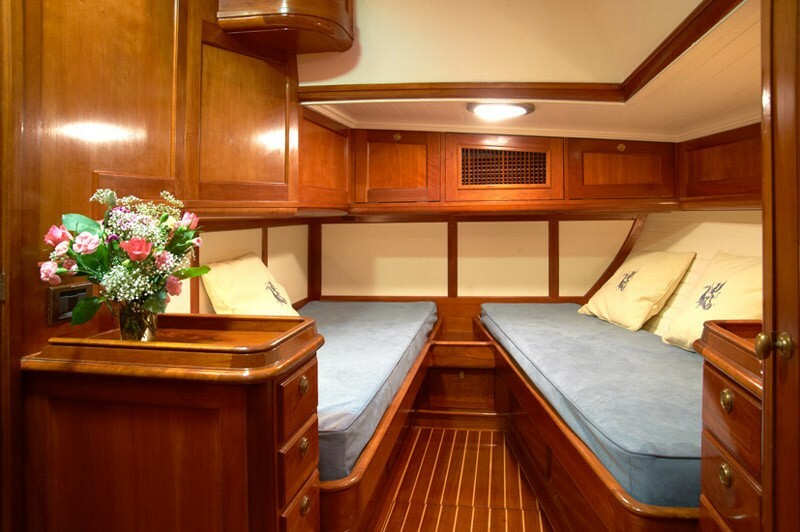 In 2010 there was an additional refit of the generator and new AC compressor group. 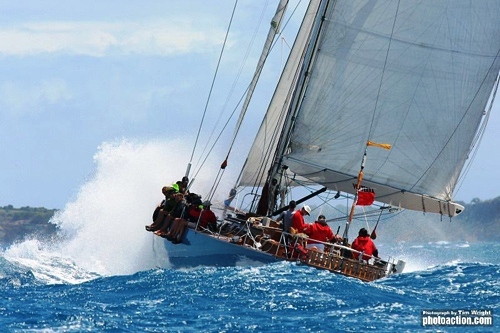 Performance yacht Volterra will consider racing charters - please inquire. 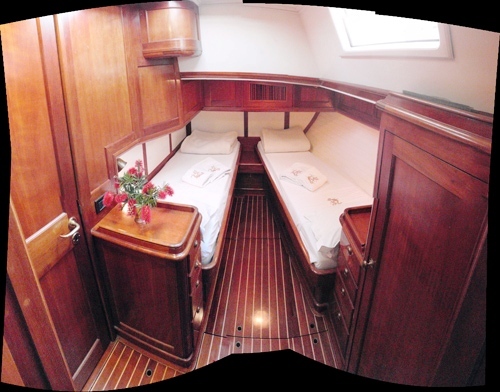 Palmer Johnson sailing yacht VOLTERRA has an extensive range of extras as follows: Her Tenders and Toys include a Zodiac Cadet 325 (5 persons) + Yamaha 4 stroke OB 10hp, an Aft pulpit fishing winch with 100m line and various lures and hooks., inflatable swimming pool for small children, 2 inflatable kayaks and snorkel gear. 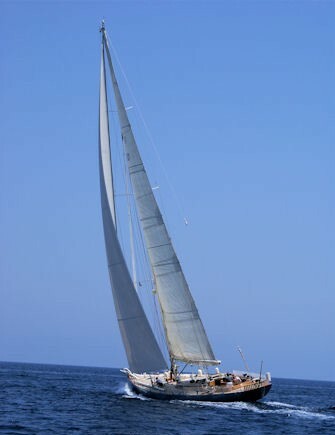 Communications include Satellite Phone and Fax, Internal WiFi 802.1b/g network connected to a mast WiFi antenna for long range hotspot pickup. 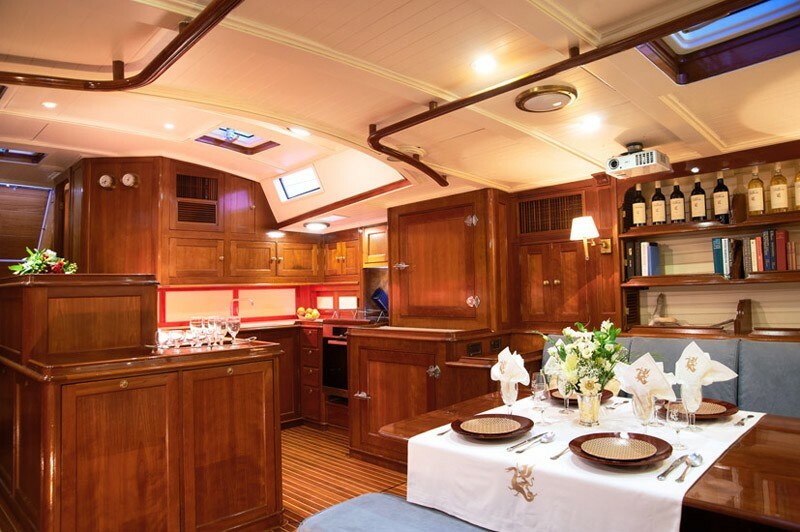 Audio Visual Equipment and Deck Facilities include a 4x50w Radio/CD/with Aux jack and Ipod input, 2 speakers main salon and two cockpit speakers, Main salon video projector with DVD/DivX/BlueRay player and a Sun awning.